All 16 Michaels coupon codes have been verified and tested today! If you can show proof of an item that is sold at a lower price by any of Michaels competitors to a store representative, they will lower the cost to match the competitor’s and in addition to that, give you a further 10% discount on the item. This offer is only valid if the item is the same as that sold by Michaels, and must be identical in size and brand. You can also use a Michaels online coupon when price-matching to save even more. Knowing the right time to shop is crucial if your goal is to save. Michaels offers 20% off your total purchase two to three times a month. They also provide up to 50% off full priced items from Sunday to Thursday. Your purchase receipts have a survey number at the bottom that you can use to take part in an online or mobile survey run by Michaels. In return, receive a 20% off Michaels coupon code to apply to your entire purchase. Find items marked at up to 75% off the regular price, then double your savings with a Michaels promo code found here. Identify items nearing their markdown period by looking for products with an orange sticker. Michaels acquires competitor coupons including JOANN, Aaron Brothers, and Hobby Lobby. Michaels will either accept coupons with 60% off one item or for 30% off your entire purchase of regular-priced items. 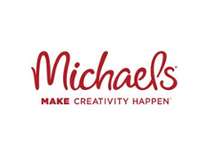 If you're a teacher, in the military, or a senior citizen you can gain access to top-of-the-line Michaels coupon codes tailored to you and your needs! Teacher discount: 15% off all orders on class-related items for teachers and homeschool educators. Military discount: 15% off your entire purchase applicable to current or ex-military personnel. Senior discount: 10% of any purchase for citizens 65 years and older. Signing up for the Michaels mailing list is a sure way to save on your arts and crafts purchases. Earn the most profit when you sign up for the emails, posts, and text message alerts all at once. Michaels promo codes sent by post are usually different from those offered by email and text. Instead of only gaining access to one discount, save more money by getting access to three. Reap the benefits of three offers, all at once. To get on the mailing list, visit their website and scroll to the bottom, on the lower right corner you’ll find a tab where you can enter your address details and select sign-up. One of the easiest ways to get Michaels coupons is through their mobile app. With the app, the latest deals are just a tap away. In-app offers regularly offer you 40% off any single item. There are occasional in-app Michaels coupons that offer as much as 50 - 60% off your purchase. Head to the app store to download the app and enjoy mega discounts. Also keep a look out for the 20% off coupons in the app, as they can be used on sale items as well. If you want to find more Michaels coupons that can be used in your local area, visit the Michaels website and go to the coupon section. Enter your zip code, and you will receive the latest coupon offers that are available in the Michaels store nearest you. Arm yourself with this before you head to the local store to shop, so you know which items you can save on. Joining the Michaels rewards membership gives you members-only access to exclusive Michaels coupon codes and offers sent straight to your email. One of the best things about Michaels rewards program is that you get to return unwanted items for free and without a receipt. Just let them know that you are a member of the program and they’ll take the article from you, no questions asked. To sign up for the reward membership, you have to create an account on their website (if you do not already have one), the reward section link can be found on the top right corner of the site. Just fill in a few tabs and hit the "Create" button. Note: this program is entirely free.